Great for transporting your photo and your youtube video. Chroma key has been the professional photographers' choice for over many years. 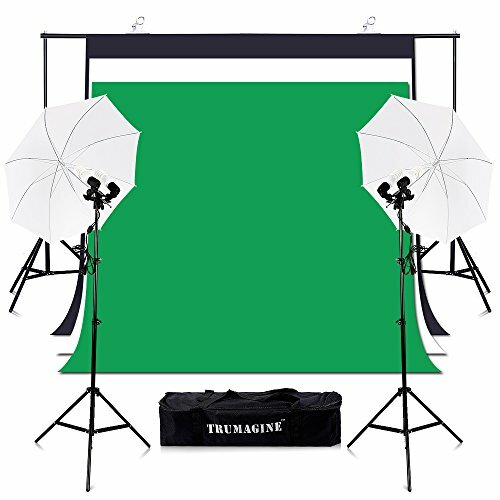 Chroma key green is ideal for photo backgrounds, display banners, decorations. Chroma key has an easy and convenient transport.Chroma key is used for special effects as it is complementary to human skin. Chroma key colors were used mainly in video. Seamless chroma key green muslin backdrop that comes with this kit is 100% cotton. If you have any questions about this product by TRUMAGINE, contact us by completing and submitting the form below. If you are looking for a specif part number, please include it with your message.